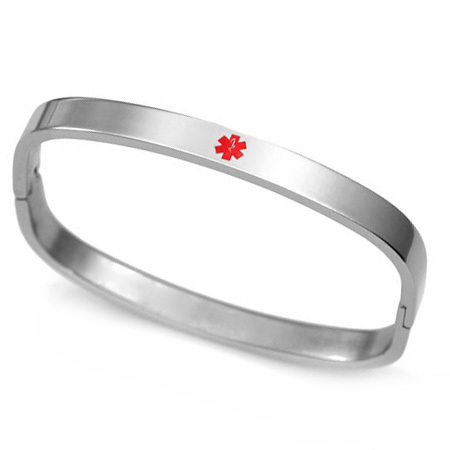 Stainless steel medical ID bangle bracelet with easy to open and close pressure clasp. A small red-filled medical symbol is centered on front. 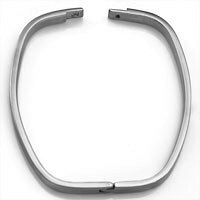 The bracelet is approximately 6mm wide. May be engraved on each side of the symbol and/or on the back of bracelet. 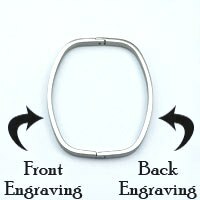 When you select Back Engraving, it will be placed on the outside back, not on the inside. Very happy with the product and it fits nicely.